Most sites out there won’t have email as a primary monetization method. But many have an opportunity to effectively use this medium as a way to generate a bit of incremental income. Verified and targeted email addresses are a valuable asset that can be monetized both indirectly (i.e., through marketing your own products and services) or directly through channels such as display ads. If you’re interested in generating revenue from an email list via banner ads or sponsorships, there are a number of tools that you will find useful. One of the most important exercises in the email monetization process is building clean, effective templates. Professional-looking designs constructed to highlight certain calls to action can have a major impact on the number of clicks your emails receive once opened. This article gives a detailed rundown of several additional options for free email templates. When you’re building out email templates, access to high quality images will be very helpful. Emails that include visual cues will generally experience a higher level of engagement, shares, and clicks. Between these two sites, you should be able to track down just about every image you could possibly want to use for an email campaign. Most traditional display ad networks don’t offer email ad services to publishers. AdSense, for example, doesn’t currently have a solution that lets ads appear in emails. But there are a few networks that can fill ad slots inserted into newsletter and other emails. 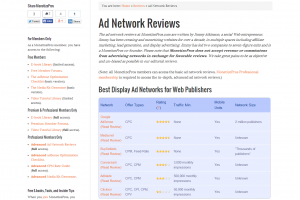 The MonetizePros Ad Network Reviews offer objective analysis of dozens of different publishers, highlighting the technical aspects and earnings capabilities of each. Based on our years of experience, these reviews are a way for us to share what we’ve learned and guide users towards the best fit for their audience and objectives. In addition to larger networks such as AdSense and Media.net, these reviews include networks such as NewsletterDirectory.co and LiveIntent. There is a lot of somewhat tedious but very important work that must be done before and after sending out an email campaign in order to ensure deliverability and improve performance. There are a couple features of Litmus that can be useful if you’re attempting to monetize either through banner ads or sponsored emails. First, you’ll be able to run emails through a spam tester that will alert you to anything that may trip detectors and hurt the deliverability of your emails. Litmus also offers detailed analytics that will shed some light on the successes (or failures) of your email. 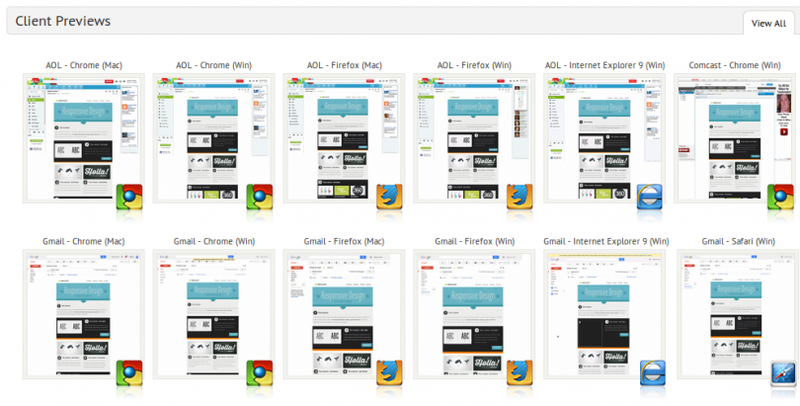 Knowing who is opening your emails, what devices they’re using, and where they’re clicking can help you improve performance in a number of ways (for example, a different layout). The amount of money made from emails is obviously related directly to the number of people who see your email. You’re probably well aware of the fact that a good subject line can make or break an email; if you’re able to craft something that grabs the attention of your subscribers in their inbox, you’ll see higher open rates and higher revenue. 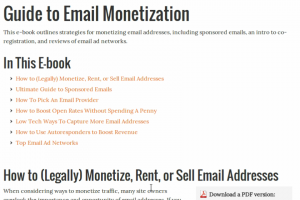 Our Web Monetization Handbook is a series of 13 in-depth e-books, each covering a different aspect of Web monetization. This series includes an e-book dedicated exclusively to email monetization, with chapters addressing best practices and common strategies. It also features sections dedicated to autoresponders and email providers. A free trial to MonetizePros premium comes with full access to this e-book as well as the other 12 that make up the Handbook. Sites with targeted valuable and valuable audiences will often be able to generate higher CPMs if they’re able to sell directly to advertisers as opposed to going through a network. Of course, selling email ads is hard; it requires developing relationships and often a lengthy sales cycle. Ad marketplaces are a middle ground between networks and direct sales, allowing publishers to present their audience to interested advertisers. 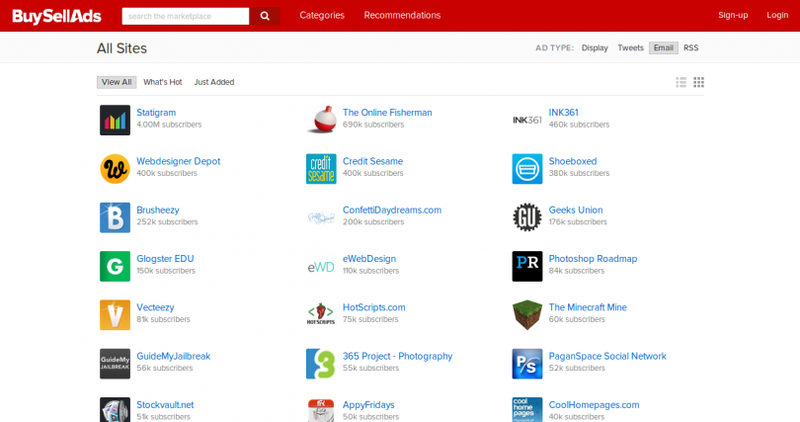 BuySellAds is one place where sites can highlight their email lists for purchase by potential advertisers. If you do want to work on selling email ads or sponsored emails directly, you’ll need to include the options in a media kit for advertisers to review. You’ll want to clearly articulate the value proposition that comes with being associated with your email products, and determine a pricing structure for anyone interested. A lot can go wrong when sending out an email. When templates break or emails render improperly, engagement and click rates plummet (along with the generally poor impression made on subscribers). Most email platforms have built-in testing capabilities, but those only allow previews of certain renderings. Email on Acid lets you preview your emails through browser and desktop browsers and mobile clients, so you’ll be able to identify any potential issues with your templates before you hit send. A subscription lets you see 70+ previews immediately, and will identify lines of code that aren’t going to be supported by some recipients. This service gives you additional insights into the performance of your emails, including a better understanding of how your subscribers are interacting with different templates. The concept here is pretty simple: once created, a tracking pixel can be inserted into emails and be used to report on a number of different statistics. This platform can be integrated into Google Analytics if you want all your key metrics to appear in one place. Monetizing email is an afterthought for many publishers, but it can be an easy way to generate some additional income each month. With the tools highlighted above, getting this revenue stream up and running can be pretty simple and straightforward. very nice article. keep writing.